A thought-provoking and eminently readable history of an idea: "governing the world" traced from its visionary roots in the 19th century up to the founding of the UN, the World Bank and the IMF. 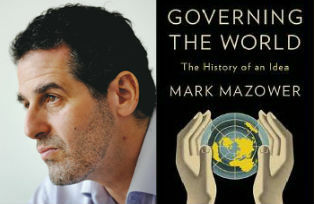 Mark Mazower has written a thought-provoking history of two hundred years of concerted attempts to create a global government and international institutions to control the chaos and bloodshed repeatedly provoked by empires and powerful states. The book runs through the course of modern history from the demise of Napoleon and the resulting Congress of Vienna right up to the present day where we see some of the results of this shift towards “internationalism” in the United Nations, the Red Cross and the World Bank, institutions that would have been considered pure fantasy by the likes of the great conservative statesmen of the time, such as Metternich and Talleyrand. The Congress of Vienna attempted to establish order in Europe after the Napoleonic era and the French, Austrians, Russians and British were to some extent successful, creating a “Concert of Europe” that lasted until the First World War guaranteeing peace and stability in Europe, albeit of an imperial and oppressive variety. This was the first attempt to stem the political cynicism, the chaos and belligerence that characterised the imperial model. The Concert of Europe itself was a novelty, with European leaders attempting to maintain a balance of power and defuse crises and potential wars before bloodshed became inevitable, War could no longer be a diplomatic game and a hobby for aristocrats. The first part of the book concentrates on the second half of the 19th century pitting Karl Marx against the unlikely Italian radical Giuseppe Mazzini as representatives of the two main competing visions for a global order. Marx pushed for a Communist proletarian utopia and Mazzini promoted nationalism and independent democratic states free from any imperial ambition. Mazower traces these competing visions into the 20th century with Lenin and Woodrow Wilson taking up where Marx and Mazzini had left off. 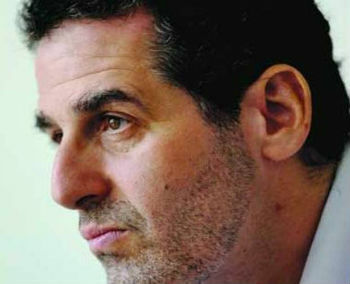 Mark Mazower is a historian and writer, specialising in modern Greece, 20th century Europe and international history. He read classics and philosophy at Oxford, studied international affairs at Johns Hopkins University’s Bologna Center, and has a doctorate in modern history from Oxford (1988). His books include Inside Hitler’s Greece: The Experience of Occupation, 1941-44 (Yale UP, 1993); Dark Continent: Europe’s 20th Century (Knopf, 1998); The Balkans (Weidenfeld and Nicolson, 2000); and After the War was Over: Reconstructing the Family, Nation and State in Greece, 1943-1960 (Princeton UP, 2000). His Salonica City of Ghosts: Christians, Muslims and Jews, 1430-1950 (HarperCollins, 2004) was awarded the Duff Cooper Prize. In 2008 he published Hitler’s Empire: Nazi Rule in Occupied Europe (Allen Lane) which won that year’s LA Times Book Prize for History. His most recent book is No Enchanted Palace: the End of Empire (Princeton UP, 2009) and he is currently working on a history of internationalism. A member of the American Academy of Arts and Sciences, he is the director of the Center for International History at Columbia University and his articles and reviews on history and current affairs appear regularly in the Financial Times, the Guardian, London Review of Books, The Nation and The New Republic. Mazower takes a slightly left-field perspective on modern history giving centre stage to the visionaries and the hard-working administrators in the secretariats of the early international organizations in Geneva and Brussels. But by doing so he shows us just how far we have come and just how powerful a single idea can be. The book is not just concerned woth global government but also internationalist movements and the creation of institutions based on international cooperation that led to successful institutions such as the Red Cross and abject failures such as Esperanto, the international language that was meant to break down national barriers and prejudice and promote world peace. Even setting up the International Red Cross Committee was by no means plain sailing. This was not a success due to the efforts of the vocal pacifist and anti-war groups of the 19th century who hoped to see the end of all wars, but a compromise that led to wars not being abolished but fought less bloodily. It was a first step towards international cooperation that led to hundreds of other, scientific, educational, legal, political and sporting institutions. On a more practical level, the International Telegraphic Union was founded in 1865 to organise rapid cross-border communications, as was the Universal Postal Union in 1874. The crowning glory was meant to be the founding of the League of Nations after the massacres of the Great War but that institution was beset by difficulties and failures. Nevertheless, it was an experience which developed into the more successful United Nations and indeed the European Union. Mazower also likes to look behind the scenes. He documents how countries, notably the United States, exploited these international organisations and used them as political cover for their own imperial or commercial interests. He also denounces the fact that often members of these institutions were not all equals. Their logic and agendas were rife with racism, imperial ambitions and the notion that civilised cultures had the duty to impart their knowledge to underdeveloped and barbarian nations underpinned many of the decisions. The book shows how the balance of power over the last 150 years passed from despots, tyrants and unruly monarchs to lawyers, scientists and political scientists who were keen to put human and diplomatic relations on a more scientific and rational footing. In many cases they succeeded, but the jury is still out on “governing the world”, with the UN still being seen as a fig-leaf for the foreign policies of powerful Security Council members. It is a fascinating book that shows how the competing visions of advocates of liberal free trade, nationalists and communists underpin contemporary society. Ideas that only a few generations ago were pie-in-the-sky fantasy are now the bulwarks of modernity.